The parish was in the North-East sub-district of the Lincoln Registration District. The North Lincolnshire Library holds copies of the census returns for 1841 and 1881. You can also perform a more selective search for churches in the Snarford area or see them printed on a map. The Anglican parish church is dedicated to Saint Lawrence. 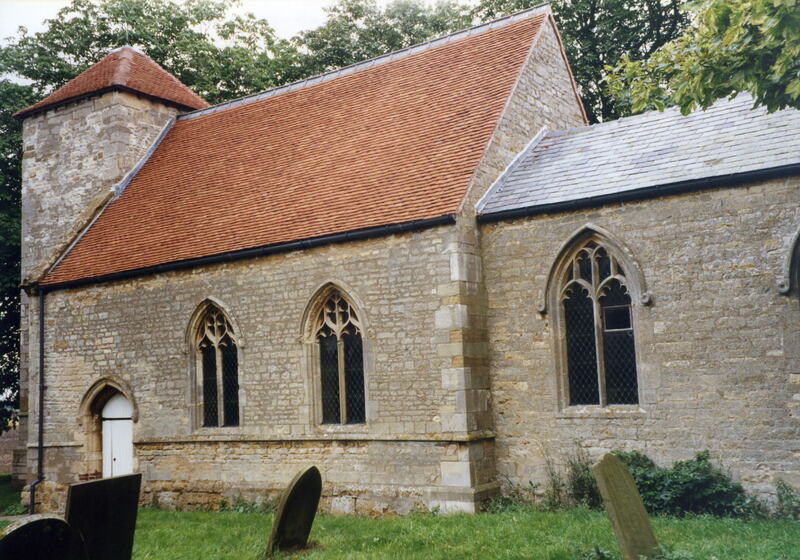 The church was declared redundant by the Diocese of Lincoln in July, 1995. A photograph of Saint Lawrence's church is at the Wendy PARKINSON English Church Photographs site. The Lincolnshire FHS has published several marriage indexes for the Westwold Deanery to make your search easier. Snarford is both a small village and a parish in the Wolds, 9 miles northwest of the city of Lincoln and 6 miles southwest of Market Rasen. Faldingworth parish is to the north and Snelland parish to the south. The are several small rivulets in the parish. The parish is small, covering only about 1,120 acres. In 1841 it consisted of only six farms. By automobile, take the A46 trunk road northwest out of Lincoln City toward Faldingworth. See our touring page for more sources. Ask for a calculation of the distance from Snarford to another place. You can see the administrative areas in which Snarford has been placed at times in the past. Select one to see a link to a map of that particular area. The parish was in the ancient Lawress Wapentake in the West Lindsey district in the parts of Lindsey. Today's district governance is provided by the West Lindsey District Council. Bastardy cases would be heard in the Lincoln (Bail and Close) petty session hearings on the 1st and 3rd Friday of every month. As a result of the Poor Law Amendment Act reforms of 1834, the parish became part of the Lincoln Poor Law Union. For more on researching school records, see our Schools Research page.